Previously owned by famous merchant and trader Priklypete, Contracting Iris was sold to the current co-owners Jezabella and Dubbrub in mid 2005. 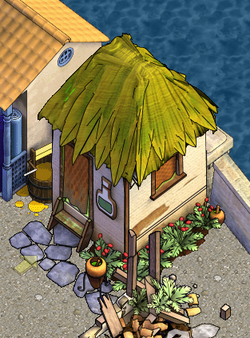 The shoppe maintains a wide selection of paint, enamel and dye for sale dockside at all times. This page was last modified on 31 July 2008, at 00:06.